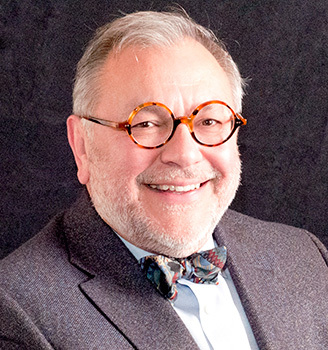 The first public showing of this important and generous gift of art will be an exhibition titled Shared Passion: A Gift of the Stuart & Barbara Padnos Foundation Collection presented in the Art Gallery of the Performing Arts Center, August 22 – October 31, 2014 on the university’s Allendale campus. 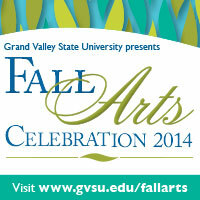 The installation is an integral part of the university’s annual Fall Arts Celebration. After the conclusion of the exhibition all works will be dispersed for public display throughout Zumberge Hall. Several of the sculptures will be permanently exhibited on that building’s grounds. We are very grateful to the Padnos family for choosing GVSU as a worthy final depository and guardian of this distinguished collection of art work. Specifically, we wish to thank both Doug and Jeff Padnos, who have worked directly with the university with regard to all aspects of this gift, including the financial support to prepare, catalog and exhibit the collection as well as to design and publish this catalog. Both Doug and Jeff Padnos have stated that this gift was made, in part, because these works of art will be made readily accessible to students, faculty, staff and the general public, and because of the university’s commitment to ensure that future generations at Grand Valley State University will continue to have the pleasure of enjoying and studying these paintings, sculpture and works on paper. The Padnos family strongly supports the broad public accessibility that is provided to the university’s entire art collection, which currently numbers more than 12,000 examples. These collections are dispersed throughout seven university campuses and are exhibited in the public areas of more than 120 buildings, where the general public can enjoy them freely. Accessibility to works of art is a core value of GVSU, provided for through various means. First and foremost, the vast majority of its original works of art can be found on the walls, classrooms and hallways of the university, provided that the preservation of the art is not compromised. Finding aids in both print and online formats like this virtual catalog facilitate access, research and engagement. These tools are augmented by the GVSU Art Gallery’s searchable database on its website, which can be accessed by hand-held mobile devices through the application, Art at GVSU, which is available for both Android and iPhone devices. These and future channels are ways for anyone interested in browsing the collection in its entirety or for researching individual works for any purpose, serving students and faculty in any academic department as well as providing regional and global access. Works of art are now used by students in a wide range of academic disciplines including arts, humanities and sciences, including language, writing, music, even dance. In addition to the Padnos family, I also want to thank the entire Art Gallery staff, all of whom played a role in the preparation and presentation of the Padnos gift. Thank you to art historian Ellen Adams, Ph.D. a faculty member of the Honors College for her research, essay and catalog entries. Nathan Kemler, Curator of Collections Management, David Newell, Curator of Exhibition, and head preparator, Alison Christensen and her team, all worked diligently and with great enthusiasm to transport, catalog, mat and frame all works of art for the exhibition and cheerfully met all deadlines. GVSU photographers Bernadine Carey-Tucker and Amanda Pitts and videographer Jeremy Knickerbocker along with Art Gallery staff members Nathan Kemler and David Keister prepared beautiful photographs and videos of all works for the gallery’s database and for use in this virtual catalog. The members of the Grand Rapids-based design firm Plenty, ably lead by Dottie Rhodes and Gwen O’Brien, prepared this beautifully designed and user-friendly online catalog, ensuring that this gift is accessible to a global community. I am especially grateful for my colleagues in the university’s Office of Development, especially Karen Loth and Scott Blinkhorn, and to those in the office of the President, including Teri Losey and her staff. Finally, and most importantly, I’d like to credit to Provost Gayle R. Davis and President Thomas J. Haas for their support and vision for the importance of the visual arts at Grand Valley State University.